16929-SD-DST is rated 3.3 out of 5 by 30. Rated 2 out of 5 by JBot from Seemed like a good idea...wasn’t. Nice looking, but after a few years the rubber push button dried out and cracked. The hose regularly worked it’s way loose and needed to be screwed tight. Disruptive to flow of kitchen prep work. Rated 2 out of 5 by Big AL from Nice Faucet and Easy Operation - Now it Leaks This faucet came with the brand new house we bought 3 years ago. Worked great until two weeks ago. The crimped pivot hose joint started to leak. I'm not sure how to get replacement part or even if its still under warranty. 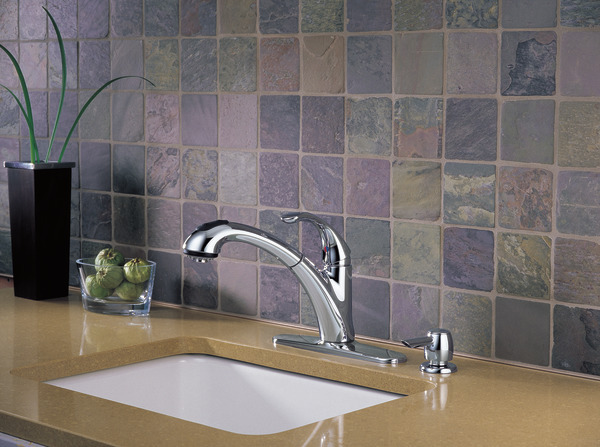 A solid faucet should last more then three years. Therefore the two star rating. 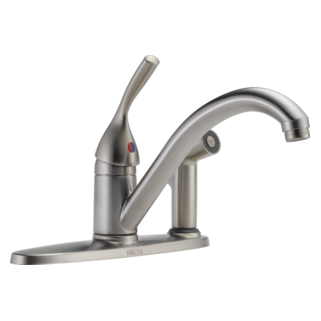 Rated 1 out of 5 by Texron from Weak sprayer After having good experience with Delta products over the years, I replaced an old kitchen faucet with this model shortly before Christmas 2017. The previous review that described the spray function as a weak rain shower is spot on. I can not imagine why Delta designed the spray function to be this weak. Totally useless for cleaning typical cooking utensils. After living with this for 4 months I spent another $200+ to replace this faucet with a competitors model that advertised correctly a 50% more powerful spray unit. If a strong spray function is what you desire, avoid this model. Rated 5 out of 5 by Rockinbuck from Great purchase and customer service! 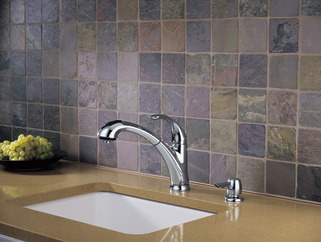 Purchased the 16929-SSSD-DST faucet for my kitchen sink years ago for design, functionality, and guarantee. Over the years a couple of things did go wrong with the o-rings and recently the dripping started. I finally decided to contact Delta and I could not have been happier! They took the time to listen to my concerns and sent an extensive "care package" with the relevant replacement parts. This was all done at no additional cost to me! 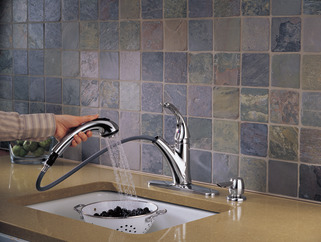 It is like I have a brand new faucet. Thank you so much Delta, you've earned my future business as well as my respect. Rated 2 out of 5 by Mattbar from Will NOT stop leaking We have owned this for a couple of years now, and have had dripping problems almost since we bought it. We have had such good luck in the past, with everything else in our house being from Delta. 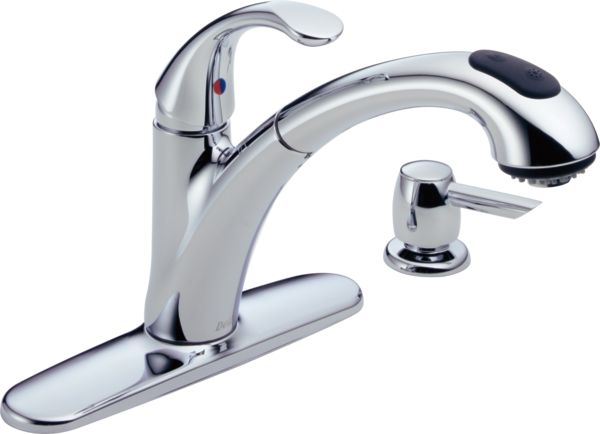 The previous faucet lasted about 13 years, and I have already replaced the cartridge once on this one, and will have to again. I miss being able to use just the repair kit! A 4 dollar kit used to fix this same problem, and now its a $35 cartridge, and from what I have experienced, it is not as reliable. Very disappointed. 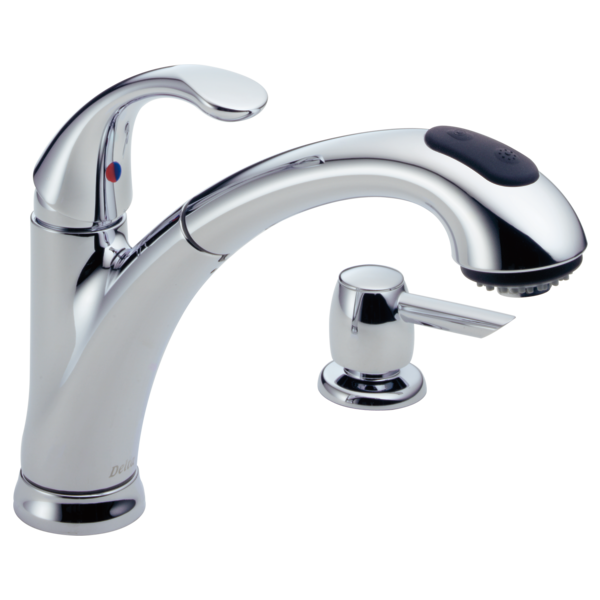 Rated 2 out of 5 by Deb49 from Sprayer does not hold stream I purchased this faucet because it was the only one I found that had the removable aerator for cleaning. But after installing it, I was very disappointed that the spray function does not spray, it only has a fast dribble sort of like a rain shower. Also when switching from the single stream to the spray, the spray does not hold unless you hold the button down continuously. Very disappointed especially considering the cost! Rated 5 out of 5 by herbie from Quality is unbeatable. There is only 1 faucet . It is Delta only 0ne I have used for 40 plus years. The best. I have a Delta 16929-SD-DST Single Handle Pull-Out Kitchen Faucet. When turning the Hub Assembly either to the right or left, it squeaks. How can this be fixed. The small rubber like red/blue that covers hole for faucet handle. Can that small red/blue rubber piece be purchased? 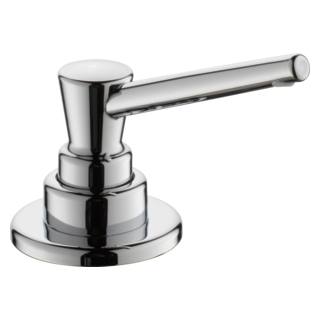 I searched this site for a 2.2 gpm flow rate and found this faucet 16929-SD-DST. The web page shows 2.2 gpm but the spec sheet says 1.8. Which is it? Also I need to know the height to the top of the handle when turned off. I have a Delta kitchen faucet with the following numbers on it: A112181. I need a new pump for the soap dispenser. Which one will work? I searched for &ldquo;pull-out&rdquo; kitchen products with the MagnaTite Docking feature and this product (MODEL#: 16929-SSSD-DST) popped up. Under Product Features: Technology, MagnaTite is listed. BUT the detailed specs do NOT list it. So which is true? 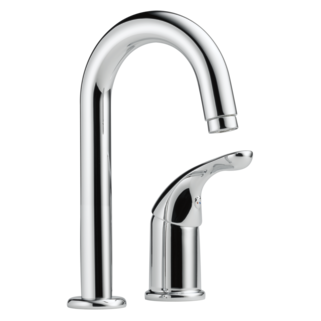 Can I purchase the ring that the faucet sits on? can the soap/lotion dispenser be filled from the top? Yes, it can. You remove the pump by lifting it out of the dispenser. It is a small opening so it will take a bit of time to fill it. I prefer to remove for filling, it is much easier to clean up the overflow.